Even in the perpetually precipitous and claustrophobic world of elite professionals cycling, for its sheer volatility, the Rás Tailteann is deemed an outlier. Ireland’s greatest cycling showcase doesn’t so much induce fear among the peloton as it does a heightened expectation for the coming eight uninterrupted days of attrition. The 2018 edition of the Rás has, compared to previous years, a particularly taxing, inclined design, which weaves through large swathes of the country. 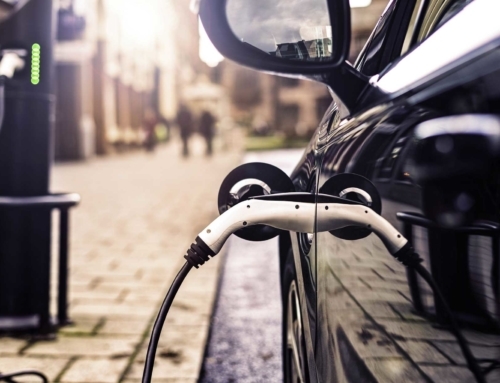 The demands of which, from a logistical point of view, required a flexible fleet of Europcar Business Fleet Services‘ depth and diversity to be fully met. 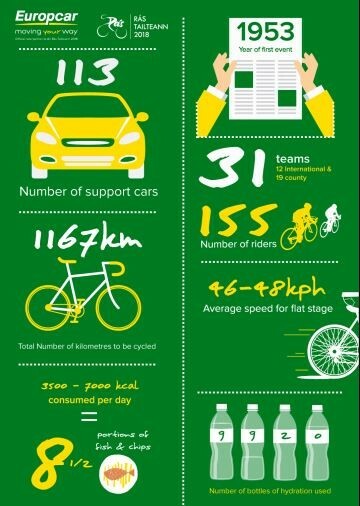 As such, the exciting new partnership between the Rás and Europcar is a perfect fit. 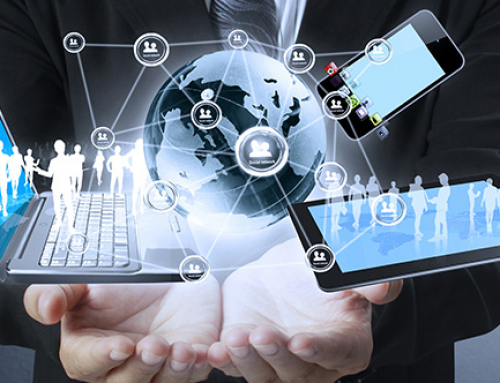 In the heat of race, however, what really makes this competition so manic is the mixing of otherwise unacquainted personnel. “It is chaotic,” said the Ireland National Team’s Marc Potts at the launch of Europcar Business Fleet Services’ partnership with the Rás. “You get a lot of foreign teams, who are experienced professional cyclists, coming over and then there’s the county teams, who are working guys that race on the weekends and the Rás is the pinnacle of their year, so it can get a bit nervy at times. “When things start to bunch up, and you’ve got stronger guys mixed in with weaker guys, the professional teams can get a bit annoyed with the county riders when things are getting crucial in the race. It’s a mixed bag, which is what makes the Rás so cool. “I know guys, who I race with on the continent, and whenever I say I’m from Ireland, they always say, ‘The Rás,’ because they all know it. Indeed, of the 31 competing teams, 19 are domestic, including Cycling Leinster, who have Mark Dowling – son of Irish Olympic boxer Mick – among their ranks. A 10-time veteran of the Rás, he echoed Potts’ assertion that it’s the ferocity of the competitors, a healthy mix of professionals and amateurs, which ensures the action is so compelling. “The route changes every year but it’s the riders that make the race, not the terrain,” explained Dowling at the same event. “On paper, stages four, five, six and seven wouldn’t be the hardest but, because this is the Rás, it’s normally the flatter stages that really throw a shake-up. It’s that kind of racing that makes the Rás so exciting. The eight stages, comprising exactly 1,168.7km, are the brainchild of Stephen O’Sullivan, who has designed the Rás route on multiple occasions. For the 66thinstalment, O’Sullivan has plotted a markedly sloping course for the 155 riders to negotiate. They will encounter a staggering 34 climbs, between Drogheda and Skerries, 4 of which are designated as category one. Teams from around the globe have arrived in Ireland to confront this herculean challenge and, ultimately, take home that coveted yellow jersey. 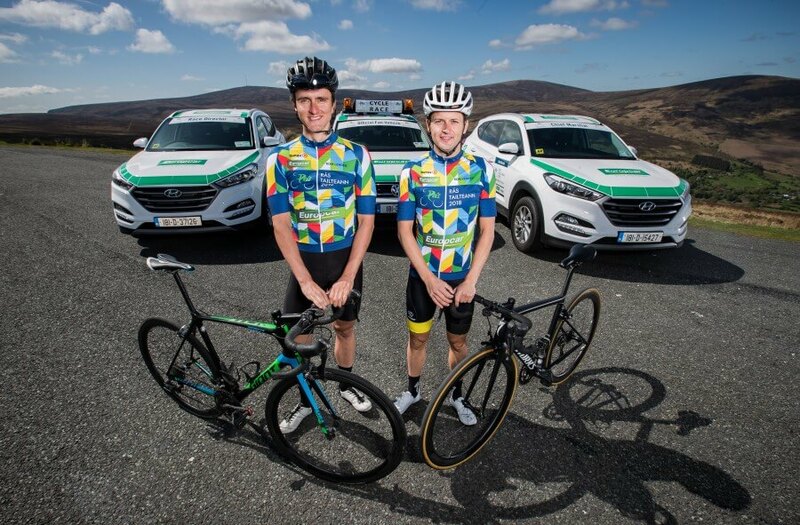 But the Irish contingent, according to Mark Dowling, have lofty ambitions of their own and are committed to making every inch of the Rás an all-out battle. “There’s a real camaraderie among the county riders who are just trying to get around the race – that’s their big goal,” he said. “But we also have really talented guys who can actually go and win. It’s certainly not a case of the Irish coming in to have their own little race and we’re looking to go up against the top guys and trying to win some stages. And yet, for all the esteem the Rás is held, it has endured some significant struggles of late – despite the tireless behind-the-scenes work of Race director Eimear Dignam. 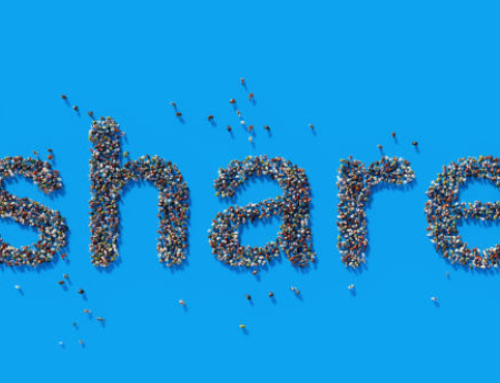 When An Póst withdrew its long-time patronage, after last year’s event, the competition fell into financial peril. 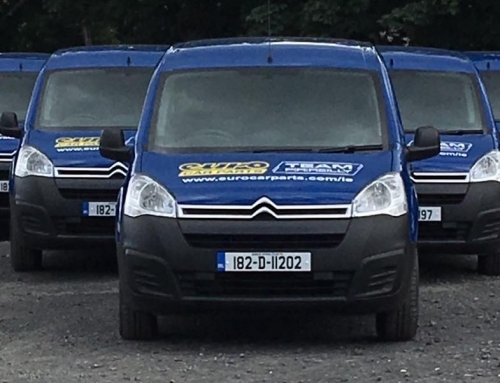 The partnership with Europcar Business Fleet Services proved a pivotal development and, between May 20th and 27th, Europcar will supply a fleet of support vehicles to meet all the Rás’s transport requirements, including event logistics, delivery, photography cars and the lead car. 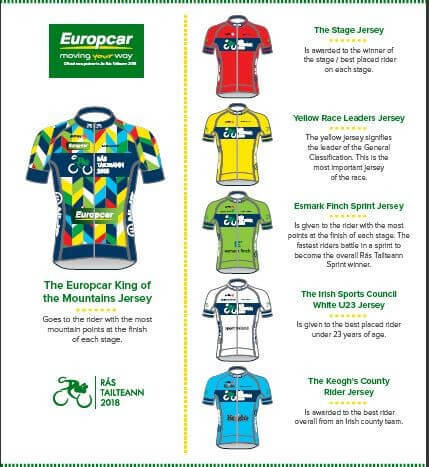 Furthermore, Europcar is sponsoring the King of the Mountains jersey and, through their social media platforms, ran a competition for two lucky fans to enjoy an entire stage from the seat of the lead car – driven by none other than Irish cycling luminary Laurence Roche. Mark Dowling was effusive in his praise of the partnership and noted the importance of a company of Europcar’s stature endorsing the Rás. 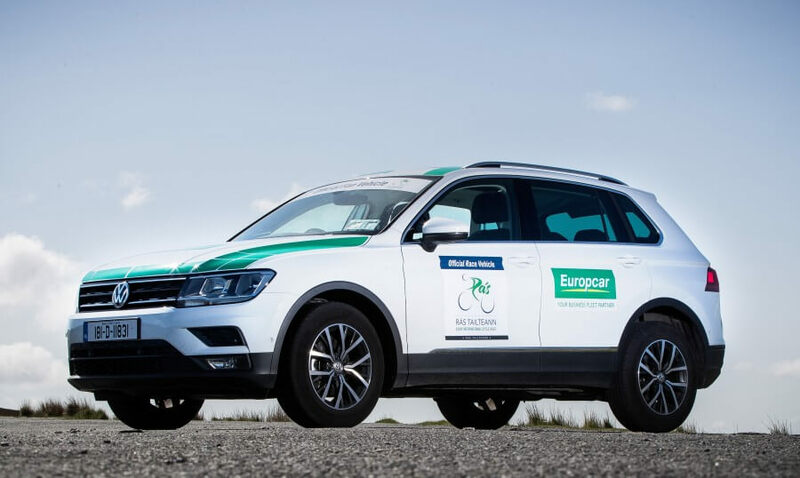 “The Rás was struggling to get a sponsor this year but with a global brand like Europcar coming onboard, hopefully, other brands will see the value of being connected with the Rás. 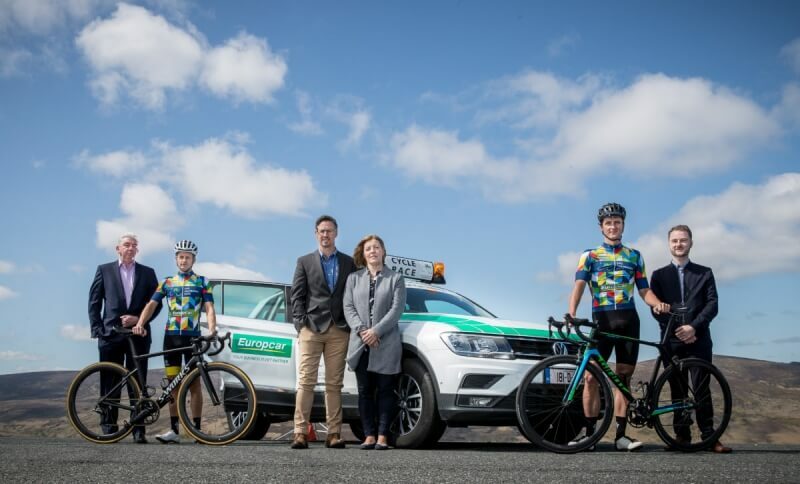 It should bode well for the future when a lot of companies that may have backed off getting involved with the Rás, see Europcar getting involved,” he said. Moreover, Marc Potts highlighted what a boost the aligning of Europcar and the Rás has provided to the overall morale of the sport in Ireland.